Dual Roller Blinds in Melbourne are becoming increasingly common. Many people are discovering the great benefits of this marvellous window furnishing. Not only do double roller blinds save you money, but they save you space too, while providing a minimal feel and modern aesthetic to your home. 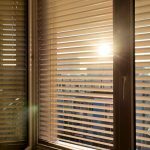 If you are a little handy, you can actually install the blinds yourself, as it is surprisingly easy to do so. To demonstrate, we have compiled a short guide on installing dual roller blinds. Begin by measuring your window frame. Once you have the sizing, you can get blinds made to measure, or purchase a standard blind and cut it to size yourself. Measure the size of your window cavity and then decide if you want an inside (within the cavity) or outside mount (over the top). If you choose an inside mount, allow a 30mm gap on each side of the blind to avoid it getting caught on the sides. Mount the dual brackets to the window frame. Draw markings for where the brackets need to sit on either side of the frame, ensuring they are the same height and depth in relation to the window. Hold the bracket in place and pre-drill the screw holes. Using the impact driver, screw the brackets in. Install dual roller blinds to the window frame. Make sure the blinds are rolled up, and mount them into the brackets. Once in place, secure the sash cord’s control bracket to the window frame. Screwing a control bracket for the cord onto the frame is wise as it is a much safer option for children. A loose sash cord can be a choking hazard. If you would like a reputable manufacturer to source dual roller blinds from, some tips on how to install dual roller blinds, or to simply get the experts to do it for you—contact Tip Top Blinds on 03 9544 4999. They are the blinds specialists of Melbourne.